Bison, Bulldogs, Mustangs, OH MY! Well this is turning out to be an interesting season boys and girls, but I am going to focus on a couple of surprise teams for the year. While a few weeks back I gave the kiss of death to the Citadel bulldogs maybe I can reverse that curse today. First I have to give a shout out to the bison of NDSU, and as much as it pains me to say they have proven why they are the best team in FCS by absolutly stomping the then-no.3 team Youngstown state in the dome in Fargo, this team seems highly unstoppable at this point, however we are only halfway into the season so you never know. Cal Poly-I say they are a surprise because well they have a high chance of ending the season with only one loss (@EWU) but when you compare thier schedule it isn’t all that tough, with no Montana State or Montana. However they could be a dark horse in a Big Sky sans a traditional powerhouse Montana. Who are your Darkhorses this season. Well This years dark horse has got to be the dogs from The Citadel. No longer able to fly under the radar with their beatdown of App State The citadel has become a tru national contender. The Citadel has taken on the traditional SOCON powers and has become the team that can in FCS this year. I personally love seeing newer teams trising up to challenge the existing football powers, I mean come on which one of us isn’t, we are for the most part the little guys. Go Citadel you have a fan up here in missouri valley country. Hello anyone who reads this, my humblest apologies for failing to write last week, I could afford any number of excuses, but they are just that excuses. So here is a double hit for you this week boys and girls. OK so its late and I haven’t surfed the net in a few days so I am a bit behind, but after looking at some things it is shaping up to be a very interesting year in the FCS. The MVC looks like it will come down to 5 teams vying for the title with a resurgent Illinois state team coming on strong after last years disappointing season, and of course Indiana State ,UNI, YSU and NDSU looking strong as well. In the Big Sky the Bobcats of MSU did not look impressive in their win against Drake, however like most teams its the beginning of the year, however the Big Sky will once again be a tight race with the ever present Montana, and Eastern Washington who was only narrowly defeated by FBS Washington State, but did take down FBS/FCS wannabe Idaho. Sacramento State upset Pac-12 Colorado this weekend, which is a huge boost for the Hornets as the only remaining road test for the Hornet will be against EWU on the 20th of October. The socon to an interesting turn this weekend, App State Went out in the FCS Game of the week and beat a Montana team that looks to continue on the Montana path of always being strong. However its the surprise upset of Georgia Southern by the Citadel that has GSU and Furman who lost to Samford in week one and Coastal Carolina on the bottom looking up at a Strong looking SOCON. The eagles are lucky in that they get perennial SOCON powers Wofford and App State at home. The Eagles visit Furman on Oct 20th. The Terriers have gotten to take it easy the last two weeks, and have a tough five game stretch starting Oct. 6 hosting Furman, then on the road at APP State and Georgia Southern in consecutive weeks, followed by hosting the Citadel and on the road against Samford.Looking for that to be the decisive stretch for the terriers. Well there you have it my thoughts on what I have seen and read, see ya later in the week GO FCS! ITs here, or for some of us already gone, It was nice waiting for you, however the bad thing is that all of us begin this year with one dream, one hope and only one team, ends this year realizing that dream, but that’s the best way for it to be. Good luck to all those this year, to all the fans traveling stay safe stay smart, and we’ll see you in Frisco. Now that the two teams have been decided for the 2011 NCAA FCS National Championship Game, through the glorious playoff system, it seems like one question is still lingering. Why did the Subdivision committee decide to hustle through the playoffs, only to have the title game three weeks after the semifinals are decided? Should they have given all of the teams involved in the playoffs a week off before play commenced? Would there have been a different outcome with the games? Shoulda, woulda, coulda comes into play here it seems. But there are always going to be glitches with things, even with the Championship Subdivision we all love. One big one being the title game being played on the same day as the Cotton Bowl (with one of the biggest fan base teams playing in it). This post of mine is just to start up chatter, but it’s not like there isn’t plenty of that already. Sometimes you just have to put your thoughts down and see where it goes. And remember, even though I’m as big of an Ohio State fan you’ll find, there’s no BS in the FCS! Some of you may have noticed the thread a week or so ago asking you what questions you would like to ask TSN’s Craig Haley about the FCS. I gathered up some of those questions and asked Craig and he delightfully answered them to give us more of an insight into the FCS. Thanks Craig for taking the time to answer these questions. What was with the lack of coverage of the biggest story from week 2, the JMU upset of Virginia Tech? Craig: Indeed, we could have done more. I’m offering the reason, not an excuse. Our two writers (Craig Haley and Andrew Gaddess) were on the road that day. The story was on our FBS pages, however. The JMU win would have led our FCS review column, but the No. 1 team in the nation (Montana) lost later that day. Whichever way we went, it was going to leave half the readers unhappy. What is your opinion on the MEAC’s struggles in the playoffs over the years? Craig: The MEAC has been behind other conference in the level of talent. Without enough of it, you’re not going to go far in the playoffs, especially when you don’t draw home games. I think South Carolina State can win a playoff game this season. Thoughts on publishing an FCS magazine? Craig: Sorry to disappoint, but not in this economic climate. It takes a lot of resources and staff to do it right. Where do you see the division in 5 years? 10 years? Craig: I can see more regional television coverage. Some of the conferences are making it happen as technology (like internet broadcasting) expands so quickly. I think a lot of fans who want to have their school move up to the FBS will realize we have it pretty good on the FCS level. What, if any, unusual experiences have you had to date in dealing with Coaches, AD’s, SID’s or Conference officials?? Craig: Nothing big comes to mind. Most of the people on the FCS level are terrific people and accessible. One conference media relations director had a terrific story a few months ago about his days as an SID a couple years ago. He had to umpire a conference baseball game and his one student intern was a player on the school’s team. It all happened at the last minute. The SID had to update the visiting team’s statistics between innnings and the student intern (on the home team) had to update the visitor’s information when he was in his dugout. All in a day’s work. Now that you’ve had a chance to view other teams from other conferences, what are some of biggest differences between “A” conference and “B” conference, etc? Craig: Resources at the schools. That’s what makes conferences like CAA Football, the Big Sky, Southern, MVFC bigger and better than some of the smaller conferences. Even within conferences, there are differences. Within the CAA, schools like Richmond and James Madison have more resources than New Hampshire and Maine. Why are the Ivies ducking the playoffs? They say academics, however, the basketball team misses way more class time than the football team participating in the playoffs for a couple of weeks. Craig: It’s an archaic rule mandated by the school presidents. They say they don’t want football players missing classes. That is a hollow reason. The first round of the playoffs are over Thanksgiving and the Ivy champion wouldn’t miss class time. Even if the Ivy champion advances to the second weekend of the players, it would only be a plus for the school. No person within the football programs support the presidents’ rule. How can the Griz beat a team that runs the option? Craig: Maybe schedule a Cal Poly or an option team in the first game. Seriously because then the Griz could work on defending it all preseason. It takes a lot of preparation and experience. I saw Rutgers struggle with defending option teams for years and eventually got over it. Montana can do the same. I took this time to also ask a couple questions that I (Chris Lynn) had about the FCS and the support us fans can provide to help increase the exposure of the FCS. What would it take to make the FCS more successful in the media and revenue opportunities? Craig: Certainly more television exposure. Networks need to discover the talent on the FCS level, and it starts on the regional and conference level. High-profile upsets and great games help, and Appalachian State-Montana and Montana-Villanova drew strong ratings for ESPN last year. Most sports aren’t revenue generators for the schools. It would help as the NCAA pushes the great product of FCS even more. 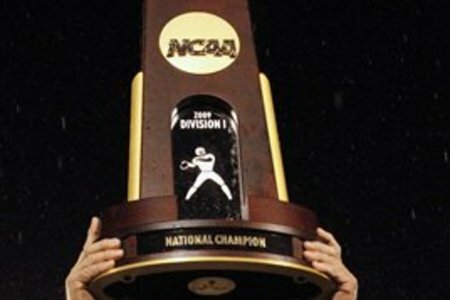 What is the importance of fan sites such as ChampionshipSubdivision.com and eGriz.com to FCS Football? 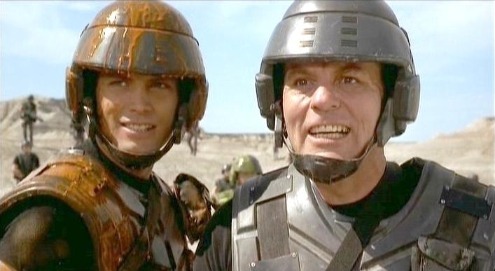 Craig: The sites are terrific. They give the fans a forum and a chance to promote so many schools. There should be camaradarie on these sites, not division. Throwing the polls out of the thought process, who do you feel is the most well-rounded team in the FCS this year? Craig: It’s hard to argue with Villanova. To have all that veteran talent returning from a national championship squad, it’s hard to argue against the Wildcats. And that’s why voters have them ranked No. 1. What can I (Chris Lynn) do or continue to do to help increase the exposure/success of the FCS? Craig: I like items like topic of the week or game of the week. Maybe putting more news items on the sites. Getting fans involved from some conferences that haven’t participated as much as others would help. Thanks again Craig for taking the time to answer these questions with your busy schedule and thanks for doing what you do to cover the FCS.